This book is an excellent reference guide to identifying medieval coins. 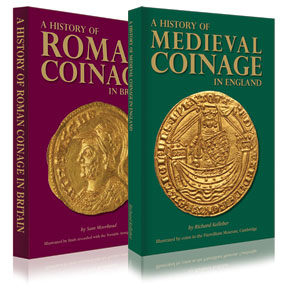 Containing over 530 beautiful colour photographs together with a comprehensive listing of mints, moneyers and denominations for all English and Irish coins struck between 1066 and 1489. 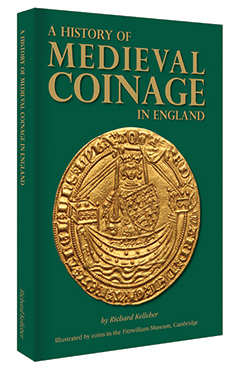 A History of Medieval Coinage in England provides an illustrated guide to the coinage of medieval England from the Norman Conquest of 1066 to the reign of the first Tudor king, Henry VII. While providing guidance on identification this book also places coinage in its historical context and gives insight into how coins were manufactured, used in circulation and lost or buried in a hoard. It is illustrated by more than 530 colour photographs, as well as 125 distribution maps, tables and images of places and people which help bring to life the medieval world in which coins were used and lost.